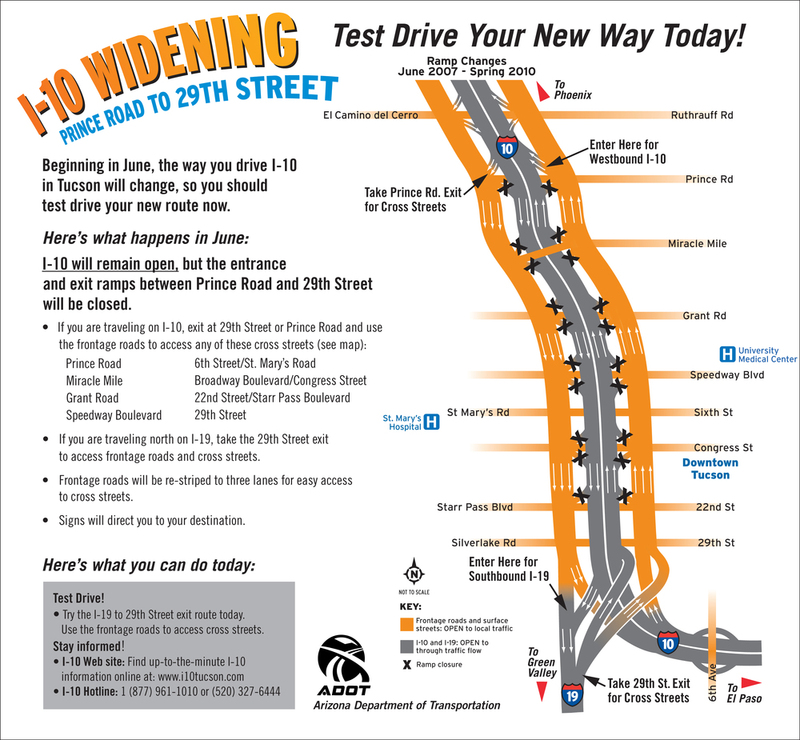 The widening of I-10 through the heart of Tucson was Arizona Department of Transportation’s largest highway transportation project in southern Arizona history. Closing five interchanges for two years for construction directly affected more than 150,000 people on a daily basis, including residents, businesses, visitors, schools and minority communities. Impacts and concerns throughout Tucson were extremely high. 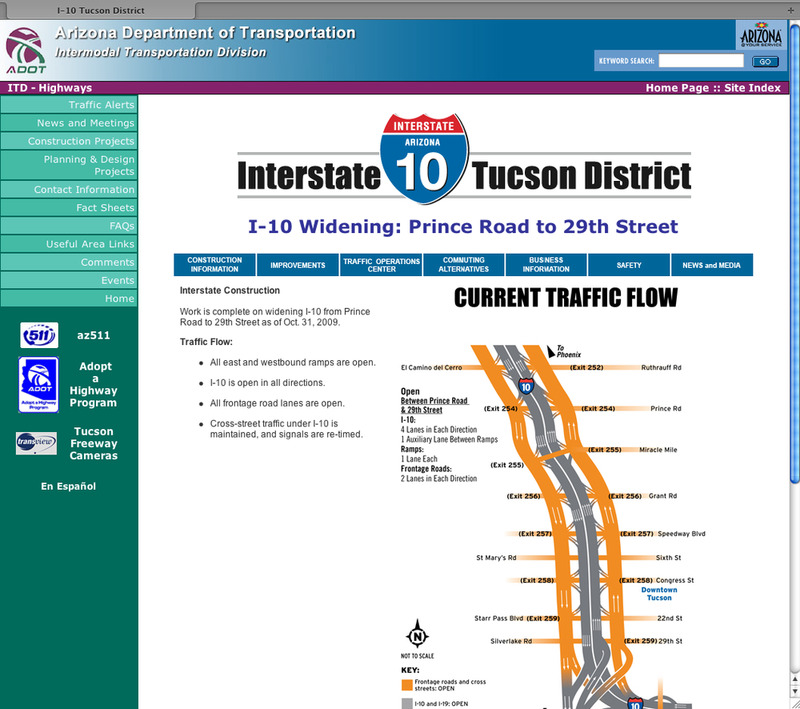 For both the design and construction phases, Gordley partnered with ADOT, the City of Tucson and hundreds of stakeholders to develop and implement a comprehensive, strategic communications plan and marketing campaign that involved new forms of outreach, a variety of media, and the full spectrum of community engagement. Gordley designed a project identity that was used on all collateral material and advertisements, and crafted engaging, easy-to-understand and public-friendly messaging. Gordley coordinated intensive outreach to those most directly affected by the project and provided outreach to stakeholder organizations, including Metropolitan Tucson Convention and Visitor’s Bureau, Tucson Downtown Alliance, Tucson Metropolitan Chamber of Commerce, University of Arizona and City of Tucson Small Business Commission. Establishing and building relationships with key stakeholders and government officials was crucial to ensuring a smoothly run project. For out-of-town visitors, Gordley designed and produced a variety of collateral materials, including brochures and videos. The comprehensive media campaign, carefully crafted to make judicious use of public funds, was unprecedented for ADOT and included local and regional television, radio and print advertising. Other innovative communications on this project included a hotline staffed around the clock by Gordley, and ADOT's first use of Twitter. This project won multiple awards for its groundbreaking efforts. Through a well-coordinated, strategic and collaborative communications effort, stakeholders not only came to understand the project, but to appreciate its highly effective communications, on-schedule efficiency, cost-saving measures and the strong partnerships that were created between ADOT and the community through effective engagement.